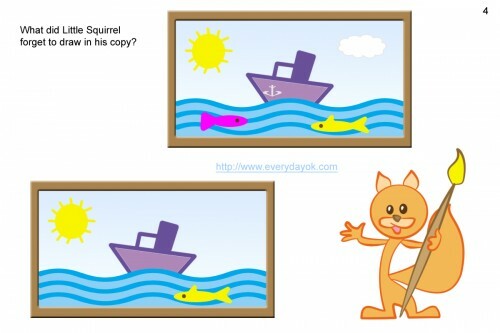 Little Squirrel saw a beautiful marine picture and liked it so much that decided to draw a copy. But he was in a hurry and forgot to draw three details. What did Little Squirrel forget to draw?